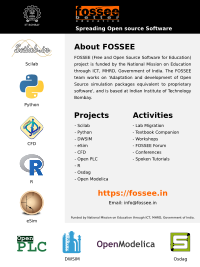 Details SciPy India conference provides opportunities to spread the use of Python in the Scientific Computing community in India. It provides opportunity to interact with the fraternity who are involved in Python for Scientific Computing . You can also learn, understand, participate, and contribute to Python for Scientific Computing.